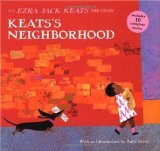 My first time hearing the name, Ezra Jack Keats, was in college. I was taking a Children's Literature course and the professor was well versed in multicultural literature. She exposed the class to many authors, including Ezra Jack Keats, that featured minorities in their books. Unfortunately, I did not read any books at this time, probably because I wasn't given an assignment to do so. About a year later, I was running an after-school program at a community center within a government subsidized housing complex. I was given some grant money to purchase picture books for the children to read. I initially had no idea what books to purchase for the program. I then recalled my Children's Literature class and the authors we discussed. I knew I needed to fulfill the wishes of my professor by providing a variety of multicultural literature. Luckily, I chose to purchase a few books by Ezra Jack Keats to read the young children of the S.T.A.R.S. after-school program. I couldn't believe that I found the old picture to the right. In the background is a book display and one of the books is The Snowy Day, (Caldecott Medal Winner, 1963). A couple of months ago I experienced my first book by Ezra Jack Keats since the times of reading to the children at the after-school program. One of my favorite librarians read The Snowy Day at my daughter's story-time. As I listened to the story it immediately reminded me of the days back in college working with the kids at the community center. I was thinking of all the little boys that were just like Peter in the story - simple, real, and playful. My daughter leaned over to me as I was daydreaming and said, "Dad, we read this book in school this week." I snapped back to reality and started to pay attention so I could ask her about the book later. Keats has been described as having the ability to think like a child. I thought of Peter and his interactions with the snow quite a few times after that day at the library. The images popped into my mind while playing in the snow with my kids and walking them into school. Ezra Jack Keats brought to life the little things that kids and even adults love to do in the snow - make different types of footprints, dragging a stick in the snow, knocking show off bushes, snowball fights, making snowmen, snow angels, climbing big hills of snow, and experiencing snow melting. I was lucky enough to acquire all seven books by Ezra Jack Keats that feature the beloved character, Peter. Our local library had six and I purchased the other, Whistle for Willie . In my research of Ezra Jack Keats, I learned that you can observe Peter growing up through these seven books. Knowing this, I laid them all on living room floor and talked to my kids about the sequence in which the books were written. We started with The Snowy Day and Whistle of Willie. These two books are solely about Peter exploring his world. I had my kids act out parts of the story like when Peter was walking in the snow or when he was hiding from his dog Willie. In the third book, Peter's Chair , Peter deals with having a new baby sister, Susie. The last four books (A Letter to Amy , Goggles , Hi, Cat! and Pet Show ) are where we get to meet Peter's best friends, Amy and Archie. My daughter said her favorite was Pet Show because of all the animals and that Archie won an award for the quietest pet, a germ! Ezra Jack Keats continues to impact children even after his death in 1983. 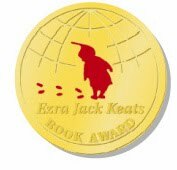 The Ezra Jack Keats Foundation and the New York Public Library give out the Ezra Jack Keats Award each year to a new writer and new illustrator of picture books. His books have touched the lives of my children, the children I used to work with at the community center, and hopefully now the children in your lives. Note: There is so much content available on others websites to help with your study on Ezra Jack Keats. Please check out the links below. After I posted this article I read the book Dreams by Ezra Jack Keats to my kids. I really enjoyed it. The book features one of Peter's buddies, Roberto. Another simple story by Keats, but very exciting. It is about a paper mouse that Roberto made and how it saves Archie's cat from a mean dog. The illustrations are tremendous! Please do not hesitate to comment on your favorite Ezra Jack Keats book! My favorite Keats book is definitely The Snowy Day, though Whistle for Willie comes a close second. What I particularly love about The Snowy Day is how the pace and activity of the book focus the reader on the present, just as a child’s perspective is anchored not so much in the past and future (as the perspective of most adults is…) but in the present. I also think Keats masterfully captures Peter’s worry that the snow will be gone the next day—Peter dreams that it all melts—and his joy when he wakes up to find that more snow has fallen! In Whistle for Willie, I love the scene where Peter has been spinning around and around, to make himself dizzy, and how Keats portrays the lights on the traffic signals as displaced from the signals, brilliantly capturing how crazy things look when you're dizzy. Okay, one more: I also love Hi Cat!, and particularly the scene where Archie has been eating a mint-green ice-cream cone and has some of the ice-cream on his face. Then Peter’s dog Willie comes and licks his face clean! (I have wonderful childhood memories of this very illustration…). It was also interesting for me to learn that Keats's focus on ethnically diverse characters in his books was the result of his own experience of antisemitism (he was Jewish) after WWII. He had deep sympathy for the racial and ethnic prejudices suffered by African-Americans and Latinos in the U.S. He was truly a multicultural leader! Thank you for your comments. Your summary of the books was fabulous. I also grew to love, Hi Cat!, as I read it multiple times to my children this week. Archie is a funny kid! I think I grew to like this character as much as Peter.